Not too long ago, if a patient needed to undergo a lower extremity angiography, a patient would have been sent to the hospital for an overnight stay. Not anymore, thanks to C-arms and the emergence of advanced dosage options, flat-panel technology, increased fields of view and robotic systems. Now a number of angiographic procedures can be performed in an office using a C-arm, including left and right heart catheterizations and radioembolization. Several OEMs have developed or are developing fixed robotic angiography systems that combine elements of C-arm technology and other benefits, which would enable greater flexibility and enhanced workflow. Mobile C-arms began to shift from image intensifiers to flat-panel detectors 2-3 years ago, while fixed systems began that transition seven years ago. 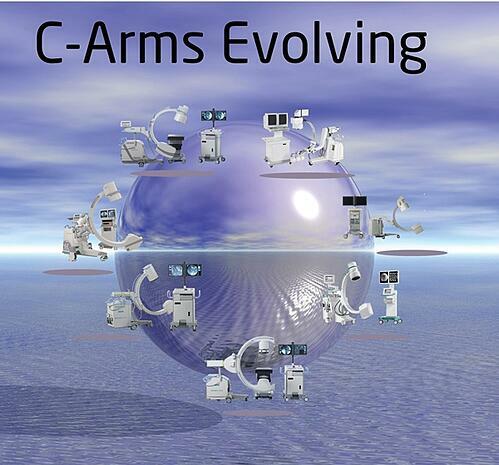 Now flat-panels are among the majority of mobile C-arm technologies on the market. It allows more accuracy in positioning any device because it can be viewed three dimensionally. This lowers complication rates, reduces length of stay, reduces costs and improves clinical outcomes. It’s important to note, however, that mobile solutions with image intensifiers are still available to providers that need quality imaging but have constrained budgets. While the images will not be as crisp as those with flat-panel detectors, they can suffice. The desire for better images has also led to the demand for 4K resolution and the addition of graphic processing units like those found in computer workstations and cell phones. And because there is an emphasis on dose optimization and limiting exposure to patients, new, safer-performing solutions are being developed. C-Arms aren’t the only component for imaging patients. Choosing a table involves a series of considerations from the type of procedures performed to the positioning of the patients. If the room is being used only for specific images, a surgical table is ample. But if the room is also going to be used for open surgical procedures, a surgical table with a changeable imaging top is warranted. Having the right combination of equipment can impact patient outcomes, as well as workflow, ease of use for physicians and operators and the hospital’s bottom line. Not only do healthcare facilities need to consider fixed C-arms, Mobile C-arms, Fixed Tables and Changeable Imaging Table Tops, but service warranties are also important. 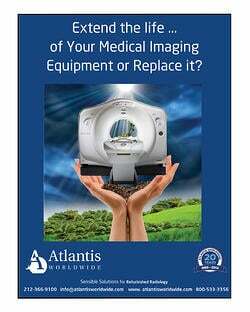 Yes, new systems come with great warranties, but preowned, refurbished or used medical imaging equipment is also available with impressive service warranties. That means you can get the quality imaging equipment you want, the service warranties you need and the cost savings that help your bottom line. 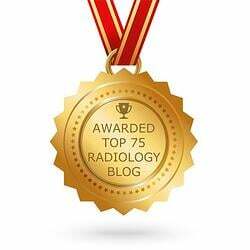 Yes, medical imaging technology is changing by the minute. But there can be cost-saving solutions that give you the functionality you need at a cost that is a lot more attractive than buying new. To find out more, talk to an expert at Atlantis Worldwide. Contact Us Today! 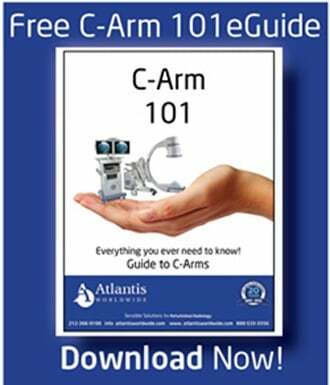 Buying Used or Refurbished C-Arms: How Old is Too Old?